This article was originally published as a web extra for US Chess Online. It contains comparative analysis originally done for my May 2016 review in Chess LIfe. I reprint it here, mainly so that readers can have access to the analysis in text format as well as in replayable format via the ChessBase website. One of the great difficulties of reviewing chess books is dealing with all of the analysis. The days of Fred Reinfeld and his breezy notes are long gone, and in their place, we get variations analyzed into the ground with the help of our ‘metal friends.’ The results can be mind-numbing. Sometimes I wonder whether today’s authors don’t analyze more than even they think they need to, lest a Stockfish-armed reader loudly find them sloppy. In this month’s Chess Life column, I reviewed six books and one database dealing with 1.e4 e5 from the Black side of the board. I generated a lot of analysis along the way, but the realities of word counts and page space intervened, and the bits I’d wanted to include were relegated to the cutting room floor. But there are no word counts on the Internet. Perhaps it’s appropriate here to make something of an admission. There is no human way for me to play through every variation on every page of modern books, much less subject everything to critical scrutiny with the machine and my limited common sense. This is particularly true in cases like this month, where I try to give readers useful reviews of more than one title. Some strategy is required, where I can balance the requirements of objective criticism with the limits of my time and capabilities. After some trial and error, I have settled on a standard methodology. The first thing I do when reviewing a book is read through it without a board, trying to get a sense of it on a macro-level. After that initial read, I try to engage the author on a micro-level, going through the text in ChessBase and with an engine. Here two different tasks become important. First, I try to find points of convergence between books, places where the analysis overlaps. What do different authors recommend? Why? And what does that reveal about their authorial style, the quality of their work, etc.? I also like to ‘drill deep’ into certain positions to test depth and originality. This usually (in the case of opening books) involves subjecting key opening tabiya to heavy computer-aided scrutiny. It can also include choosing lesser-known side lines to see if the authors bring anything new to the table, or if they are content to trade in the usual solutions. Both of these elements came to bear on my May review. I spent some time comparing the various responses to the Belgrade Gambit, for example, and I discovered that the main lines of the Breyer can be incredibly complicated to analyze. It was a lot of fun, especially for this sometimes 1…e5 player, but man… there is a ton of theory. For this web extra I chose two bits of analysis that might be of use to readers while also giving some sense of the books in the May review. The first is an overview of recommendations in the Italian, with a focus on the trendy variations that include an early a2-a4. The second is a more in-depth study of a popular line in the Zaitsev, where we see something of the divergent approaches of Kuzmin and Solozhenkin. b) 10.Bg3 Ba7 11.Nbd2 (11.Na3 Bg4 12.Nc2 d5!?) 11…Kg7 12.Re1 Nh7 with kingside expansion. a) 8.a5 b6!? 9.Bxe6 fxe6 10.d4 (10.a6 Nd4) 10…exd4 11.Nxd4 Nxd4 12.Qxd4 d5! c) 8.c3 Qd7 9.a5 b6?! a) 9.Bg5!? Nc6 10.Bxf6 Bxf6 11.Nc3 Nb4! 9…Nc6 10.c3 h6 (10…Be6 was Lokander’s rejected line, i.e. 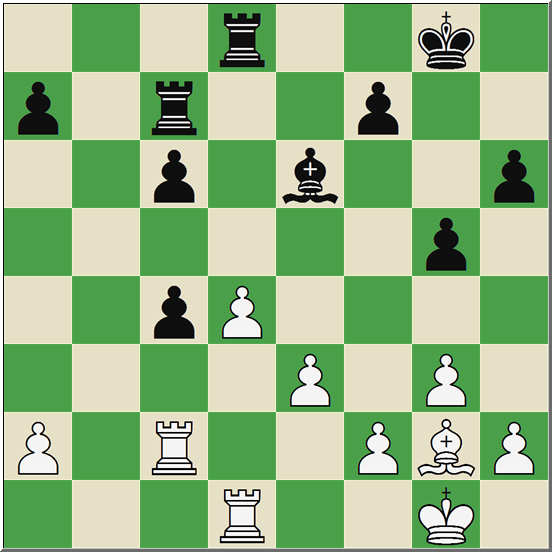 11.Bxe6 fxe6 12.Nc4) 11.Bd2 (Saric, Chess24) 11…a6! 1.e4 e5 2.Nf3 Nc6 3.Bb5 a6 4.Ba4 Nf6 5.0–0 Be7 6.Re1 b5 7.Bb3 d6 8.c3 0–0 9.h3 Bb7 10.d4 Re8 11.Nbd2 Bf8 12.a3 Very popular recently. 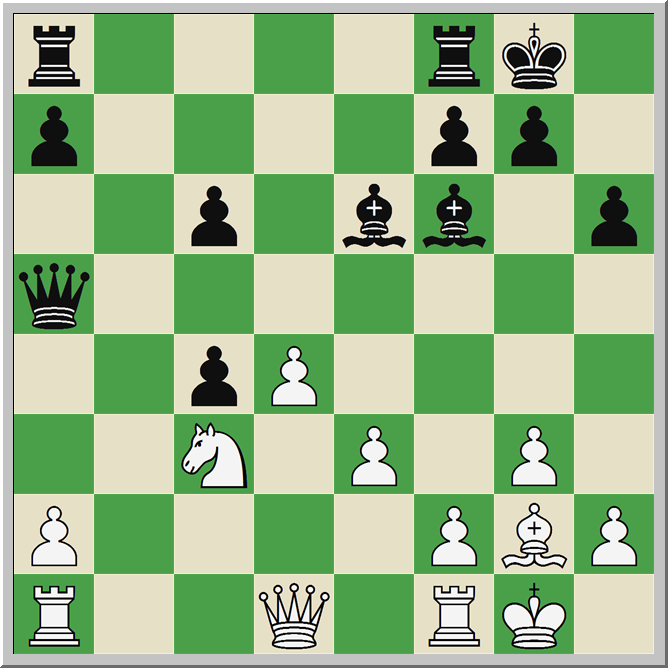 Other options: 12.a4 (Kasparov’s move, deeply analyzed today); 12.d5 (Khalifman’s recommendation); and 12.Bc2. 12…h6 The main line, analyzed by Solozhenkin in ch 22 and Kuzmin in ch 5–7. 12…Qd7 is very rare and the subject of chapter 8 of Kuzmin’s book. 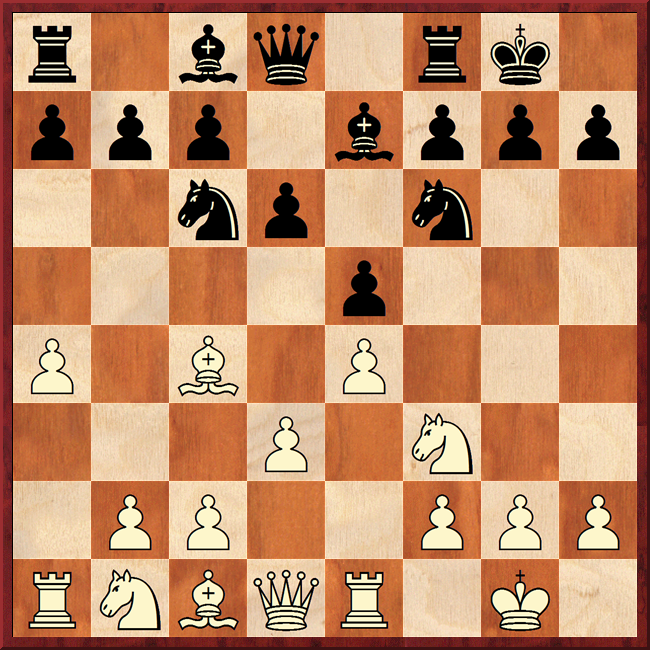 After 13.Bc2 Kuzmin analyzes 13…d5! ?, a novelty inspired by Tal-Gligoric (Moscow, 1967). Less often played are 13.Ba2 (K, ch 6) and 13.d5 (K, ch 7). 19…Qc7 (19…Bc5!? 20.a4= (20.Nd4? Qb6 –/+; 20.Rb1=; 20.Nf1 a5 21.Bd4 Qb6 with initiative ) 20.Nd4 g6 (20…Ne5 21.Nf5 g6 (21…Bc8) ) 21.N2f3 Bg7 1–0 (34) Lastin,A (2616)-Kasimdzhanov,R (2685) Plovdiv 2010. Variation #2: 15…a5 K p99 16.Bd3! 20…bxa3 21.Nxf7!? axb2! 22.Nxd8 bxa1Q 23.Qxa1 Rexd8 S: All three outcomes are possible 24.Qa5 Nfd7 25.e5 Bd3! 26.Qc3 Nc5 27.Bxd3 Nxd3 28.Re3= ½–½ (28) González Pereira,F (2453)-Oreopoulos,K (2450) ICCF 2013. This entry was posted in Openings and tagged 1.e4 e5, Alexey Kuzmin, Avrukh, Chess Life, Evgeniy Solozhenkin, Lokander, Ntirlis, US Chess Online, Victor Bologan on May 11, 2017 by fullcityplus. Aagaard, Jacob, and Ntirlis, Nikolaos. 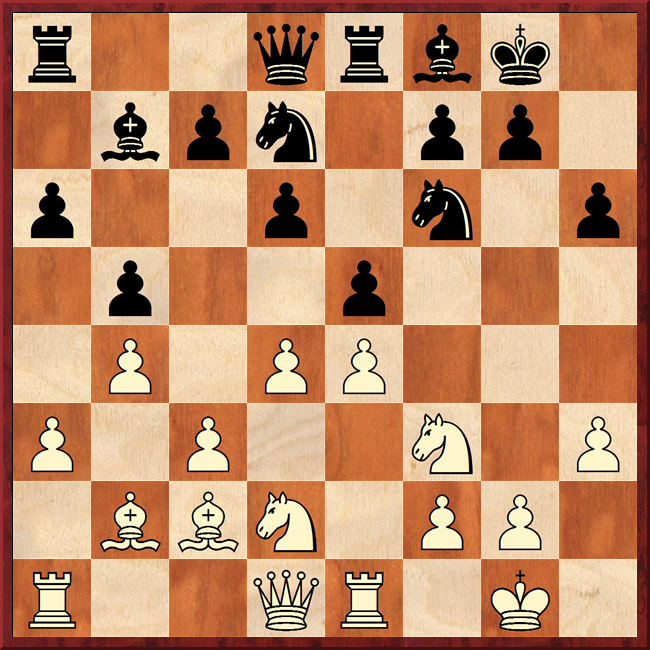 Grandmaster Repertoire 10: The Tarrasch Defence. Glasgow: Quality Chess Europe, 2011. ISBN 978-1906552916. PB $34.95. Jacob Aagaard and Nikos Ntirlis’ book on the Tarrasch Defense (hereafter GM10) was among the more lauded chess titles published in 2011, and it certainly – in certain circles, at least – was among the most hyped. Does it live up to all that praise? Having worked through the book, and with the advantage of some critical distance, my answer is a VERY qualified yes. It was, in fact, on the Chesspub forum that the birthpangs of GM10 were first heard. Ntirlis announced, in perhaps the longest thread in Chesspub history, that he was working on a book on the Tarrasch that would ‘update’ Aagaard and Lund’s 2002 Meeting 1.d4 and be published in Greek. In February 2011 – beyond this, we are not privy to the details – Ntirlis and Aagaard joined forces, with GM10 as the result. 1.d4 d5 2.c4 e6 3.Nc3 c5 4.cxd5 exd5 5.Nf3 Nc6 6.g3 Nf6 7.Bg2 Be7 8.0–0 0–0 9.Bg5 c4! This is a departure from the recommendation of Meeting 1.d4, which focuses on the ‘traditional’ mainline of the Rubinstein variation (9…cxd4 10.Nxd4 h6 11.Be3 etc), and it is a slightly surprising one. Besides its being a nearly universal response to any non-1.e4 opening, playing the Tarrasch as Black has the great virtue of teaching you to play with the isolated queen’s pawn. But Aagaard and Ntirlis believe that “Black will always struggle in the Tarrasch Defence if he left with an isolated d-pawn and White has control over the d4-square” (13), leaving 9…c4 as the best alternative. I will return to this claim shortly; for now, however, it’s enough to note that the bulk of the Introduction to GM10 sketches the rationale for abandoning 9…cxd4 as well as the historical progression of the theory of 9…c4. and now either 16.Ne4 (part of ch 6), 16.Rc1 (ch 7) or 16.Qc2 (ch 8). Taken together, the analysis of these three moves takes up approximately 35 pages of GM10; most notably, after 16.Qc2 Aagaard and Ntirlis believe that the sacrifice of the exchange after 16…c5 leads to “comfortable equality.” The analysis here is, quite frankly, stupefying, with some variations extending out past move 30. White can deviate, as Avrukh recommends in the first of his 1.d4 books (Grandmaster Repertoire 1, hereafter GM1), with 9.dxc5. Aagaard and Ntirlis weave a path for Black to equality in chapters 9 through 13, arguing that in both the ‘Reti Variation’ (10.Na4) and the ‘Timman Variation’ (10.Bg5) Black has every hope to stand equal. The analysis of 10.Bg5 is particularly good, as the Black player is offered three quality responses (12…Qf5; 12…Qd8 13.Nd2 a6!? or 13…Re8) to Timman’s brainchild. That GM10 tries to fit everything except 9…c4 and 9.dxc5 into roughly 122 pages is understandable; the book, after all, appears in a series called “Grandmaster Repertoire,” and stronger players tend to play the main lines. Here, however, we begin to see part of what frustrates the amateur about GM10. I’ve been playing the Tarrasch for about a year and a half now, both on the Internet and over the board, and I’d estimate that at least half of my games involve White playing an early e2-e3, taking the game into the Symmetrical Tarrasch. GM10 devotes 11 pages to this variation in chapter 20, and another 6 to it in chapter 16. It would have been useful for the non-master to have more expansive analysis of these lines. when White can play 6.a3, 6.Bd3, 6.cxd5 or 6.dxc5. This position is quite common in my games with the Tarrasch. Unless I am mistaken, I don’t see any analysis of this specific tabiya in GM10. Because Aagaard’s earlier book on the Tarrasch was equally lacking in this regard, I had to turn to Harald Keilhack’s Die Tarrasch-Verteidigung to fill out my repertoire. We might approach the same complaint by looking at the mass of analysis accompanying 9…c4 and, in particular, the variations following 10.Ne5 Be6 11.b3 h6. Aagaard and Ntirlis obviously poured immense time and effort into their analysis, finding tricky solutions to difficult problems again and again. The detail in chapters 6-8 is absolutely staggering, but I can’t help but wonder: what good is all this analysis if, as John Watson notes in A Strategic Chess Opening Repertoire for White, the Black player has to memorize reams of analysis involving at least two paradoxical only-moves just to land in a position that is equal at best? (See chapter 3 of SCORW and pp.33-4 specifically for more.) I can’t see how it can be practical for the amateur OTB player to commit all those moves to memory and end up with a difficult position for his or her trouble. Players who defend the Tarrasch do so knowing that they will often have to defend the IQP. Presumably they will have spent some time learning how to play such positions, investigating the key ideas, etc. Why, then, do Aagaard and Ntirlis abandon the 9…cxd4 lines, which leave Black with the familiar IQP, and instead take up the theoretically demanding 9…c4? 1.d4 d5 2.c4 e6 3.Nc3 c5 4.cxd5 exd5 5.Nf3 Nc6 6.g3 Nf6 7.Bg2 Be7 8.0–0 0–0 9.Bg5 cxd4 10.Nxd4 h6 11.Be3 Re8 12.Rc1 Bf8 13.Na4!? and after 13…Bd7 14.Nc5 Bxc5 15.Rxc5 Qe7 16.Nxc6 bxc6 (Wenzel-Markevich, 2011) White improves with 17.Rc2 Ne4 18.Qd4 a5 19.Rfc1 and is said to stand better. This variation is far from forced. 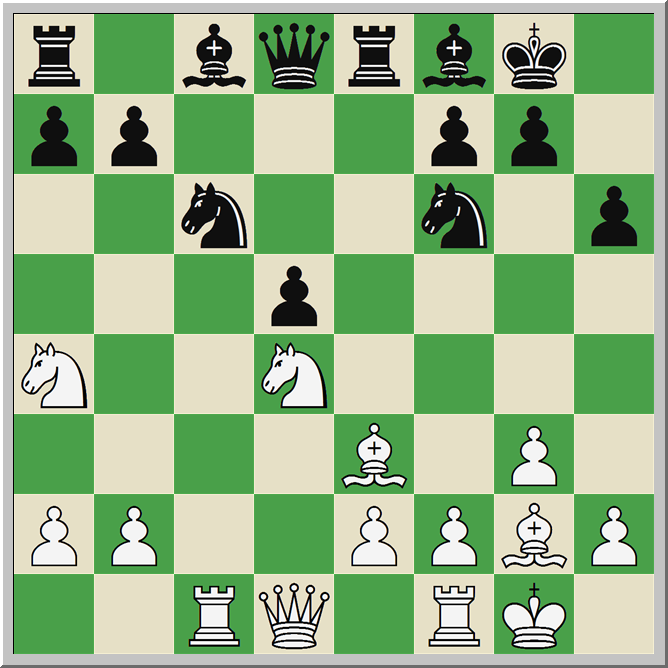 Beyond the 13th move alternatives for Black (13…Ne5, 13…Nxd4, and 13…Ng4) there are also options both earlier and later. 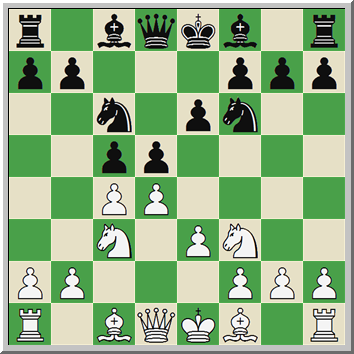 Black can try Spassky’s old 12…Bg4, and 15…Qb6 seems at least plausible. It’s not clear to me, in other words, that Black need suffer in this variation at all. where GM10 only analyzes 12…Re8. 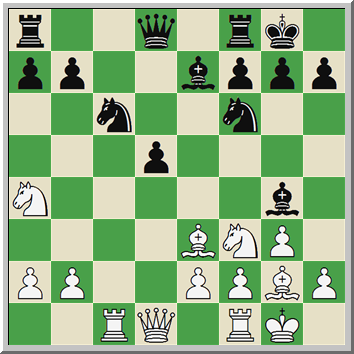 Keilhack offers both 12…Rc8 and 12…Qd7, with the former serving as at least an equally valid response to 12.Rc1. It turns out, by the way, that Avrukh is equally negligent in utilizing all available sources, since he mishandled the same position in GM1 – which was also published by Quality Chess. The aforementioned John Watson points this out in his review of Avrukh’s GM1; one thinks that Aagaard, the publisher of GM1, should have noted this analysis, especially given the history between the two men. GM10 is, quite obviously, a work that is deeply indebted to computer analysis. This can be both a blessing and a curse. On the one hand, readers of GM10 can sleep well knowing that all of the analysis is ‘correct,’ so far as it goes. Every chess book will naturally be subject to refinements as time goes on, and no book can cover every possible variation. GM10 is no different. Still, the voluminous analysis in GM10 is checked and double-checked by our metal friends, and some of the key moves that save the 9…c4 lines (particularly 16…c5 in chapter 8) were computer discoveries. I checked the position with a particularly fast incarnation of Houdini 3 from the Chessbase Engine Cloud, and at a depth of 30 ply, Houdini still favors the offer of the exchange. Amazing – and on a number of levels. ‘Correct’ doesn’t always mean most playable for carbon-based lifeforms. Positions that are well within the bounds of drawability for the computer are practically lost for humans, and what is objectively equal can still be difficult for the human to play. Let’s assume that I memorize all of the analysis in chapter 7 – 9…c4 10.Ne5 Be6 11.b3 h6 12.Bxf6 Bxf6 13.Nxc6 bxc6 14.bxc4 dxc4 15.e3 Qa5 16.Rc1 – and get to use all of that analysis over the board, including the two key moves 21…Rc7 and 22…g5. What do I get for my trouble – not to mention my good fortune in finding an accommodating opponent? With White to move, the computer thinks this is equal. If I’m playing White against a fellow chess mortal, however, I’m happy to squeeze in this position for hours. The practical play just doesn’t match the computer evaluation. It seems to me that most readers would have been better served by a repertoire based around 9.Bg5 cxd4. I don’t think that White gets any more advantage in these lines than he does after 9…c4; more importantly, however, the key ideas behind the moves are much more understandable in the …cxd4 variations. Computers can just grind away and find good moves via brute force. Humans, as I relearn with every tournament game, simply can’t. If a Tarrasch player has already learned something about basic IQP play, why not maximize that knowledge and give them positions that make use of it? Jacob Aagaard and Nikolaos Ntirlis invite their readers to think about these positions for themselves, rather than to just memorize what they prescribe. Would you mind playing this position as Black? If you don’t, then you’ve got what it takes to become a real Tarrasch player – not scared of isolated pawns, bishops or your engine indicating +0.41. In the end, I think GM10 suffers from a malady that is all-too-common in Quality Chess books: at some point, the analysis just becomes overwhelming. (Future reviews, I’m sure, will return to this claim, and I’m ready to defend it.) There’s a fine line between comprehensive coverage and ‘long analysis, wrong analysis,’ and the variations in GM10 shade over to the long side too often for my taste. I’ve tried to argue above that part of the root of the problem comes from the choice of repertoire variation, but given the systemic nature of the issue at this publisher, the problem might well be editorial. Now, there are those who will argue that I’m being silly. Shouldn’t I want a deep, bulletproof repertoire? Shouldn’t I be glad for analysis that extends deep into the middlegame, giving Black equality out to move 30? It depends. If I’m playing correspondence chess or as a centaur on Playchess, maybe. The OTB player, however, cannot refer to books or engines during the game. All I have is my limited guile and ever-failing memory. I suspect I’d be better served by a book that trades some analytical depth for explanation of key ideas and themes. Conclusion: GM10 is highly recommended for very strong players who face the main lines in the Tarrasch often, and for those with the time and willpower to do a lot of memory work. It can be recommended to those above 1600 as a reference work, but given (1) its lapses in coverage of lines that amateurs play, and (2) its reliance on the memorization of a number of counterintuitive only-moves, it is an ill-fit for serving as the basis for an amateur’s repertoire. Meeting 1.d4 would be more useful for this purpose, and GM10 might be a good, if non-essential, supplement to that book. More advanced players should absolutely reference Keilhack if they can find a copy. This entry was posted in Openings, Uncategorized and tagged Aagaard, Ntirlis, Quality Chess, Tarrasch Defence on March 12, 2013 by fullcityplus.